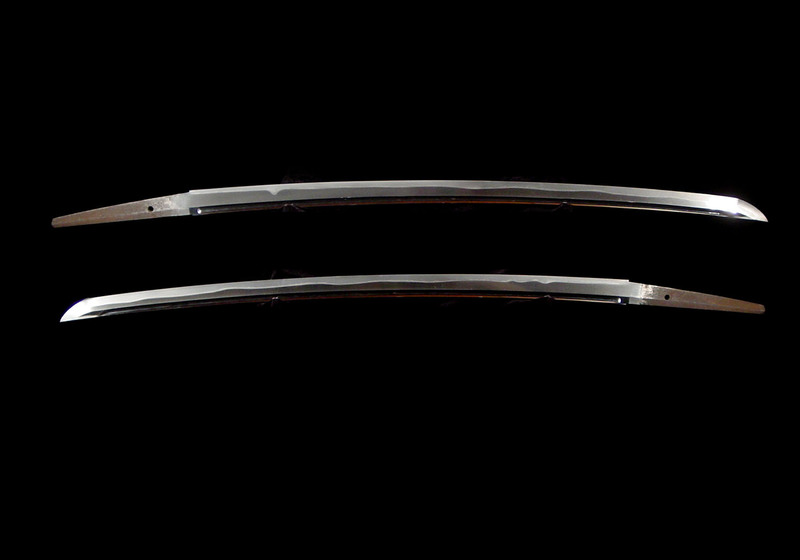 I am pleased to present this long and powerful katana by the Echizen smith, Masanori. Masanori worked in Echizen Province around the beginning of the 17thcentury. He was said to have been the descendant of Sanjô Yoshinori. His original kuni was Tango Miyazu and he later moved his residence to Fukui in Echizen. 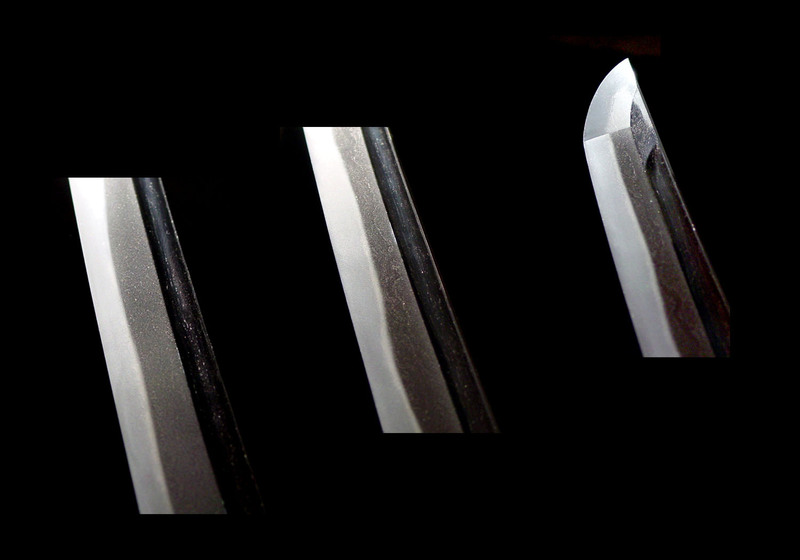 His swords are rated as Ryôwazamono (excellent cutting ability). 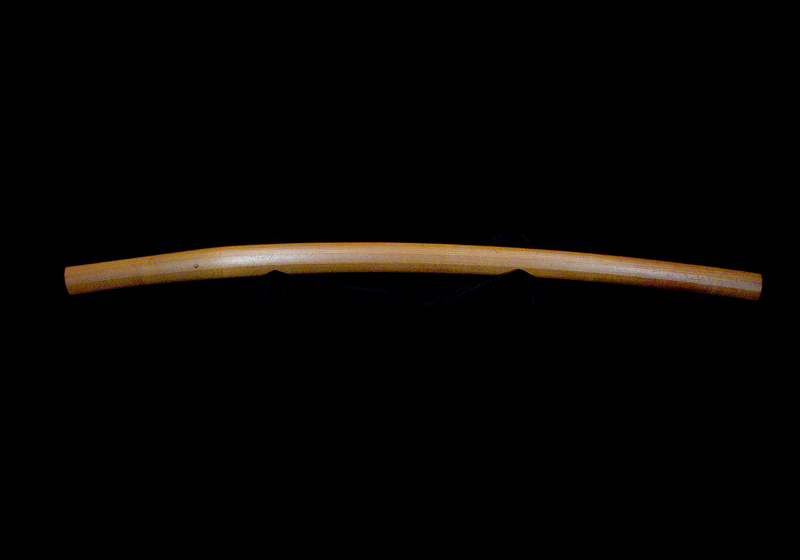 This example is a big one with a cutting edge of 29 1/16 inches or 73.8 cm. 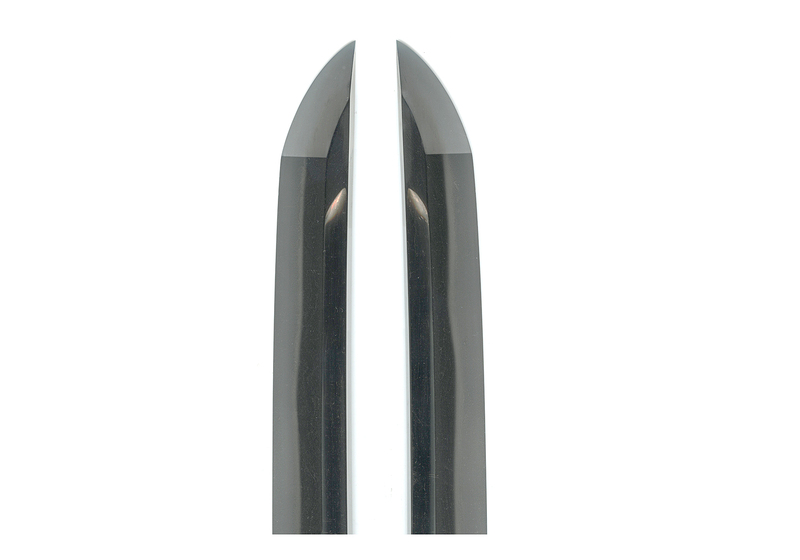 The moto-haba is 1.35 inches or 3.43 cm and the saki-haba is 1.03 inches or 2.63 cm. 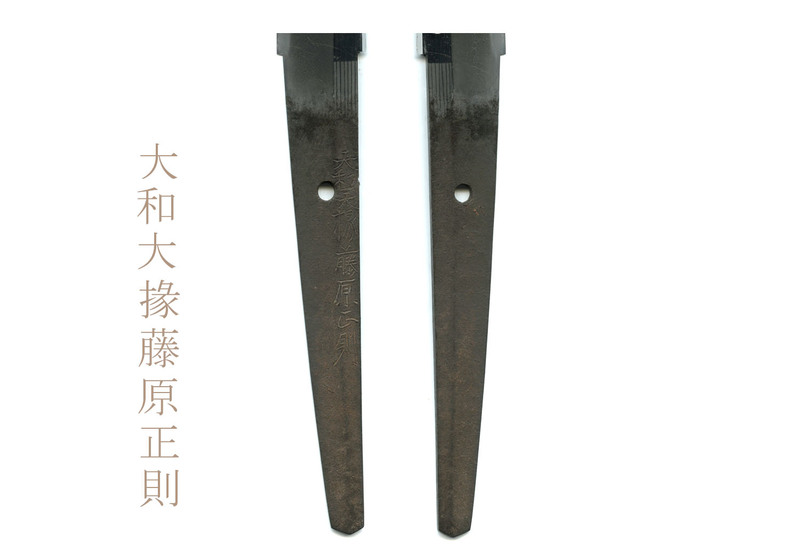 It has a torii sori of 0.8 inches or 2.1 cm and a thick Kasane of 0.3 inches or 0.8 cm. 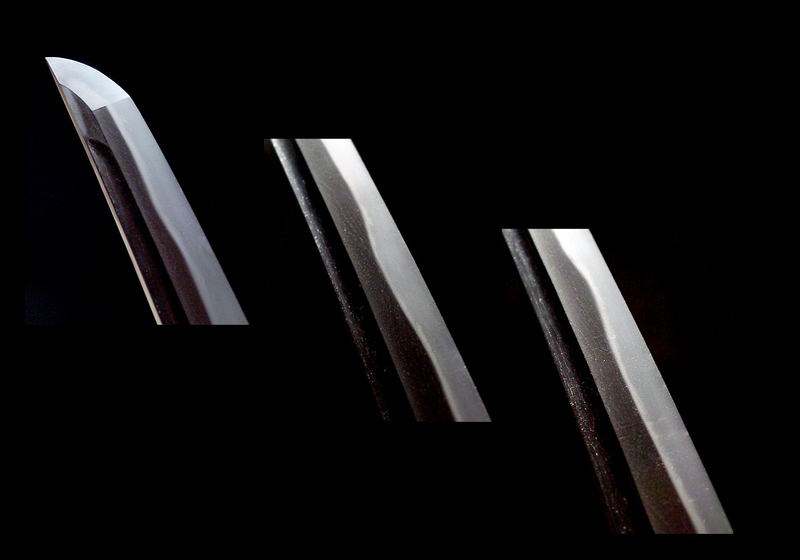 The jigane is a beautiful flowing itame that is well pronounced. 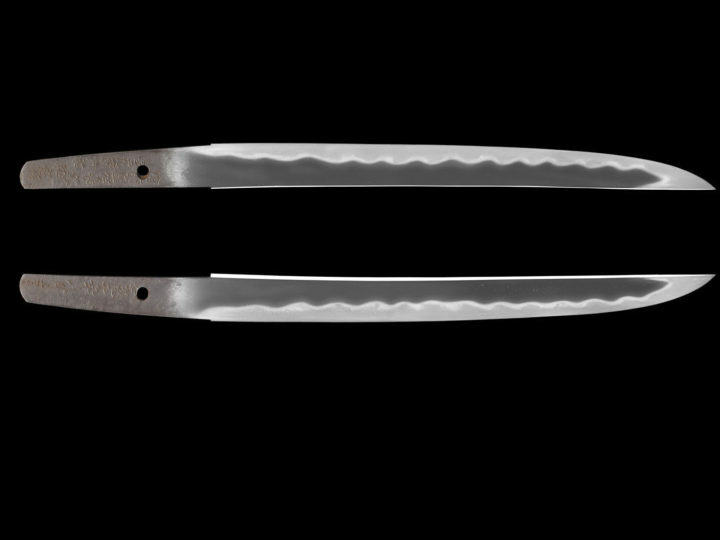 The hamon is a billowing notare midare that is high on the blade giving a very graceful flowing impression. 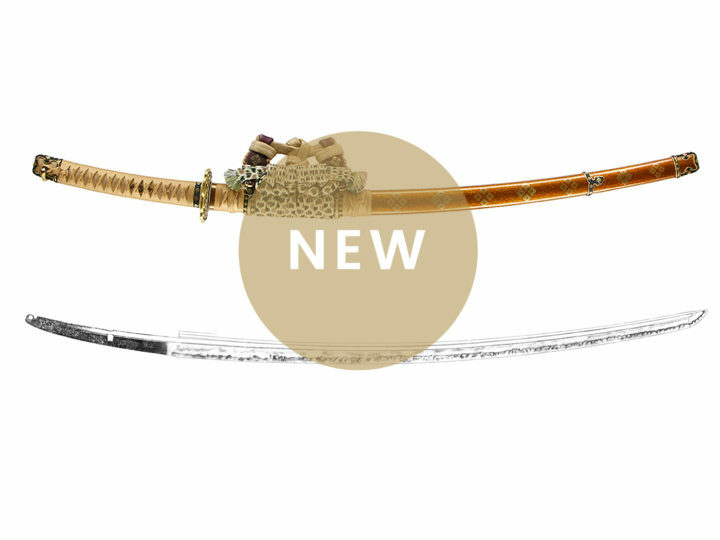 The hamon continues into the bôshi in the midare pattern and has a medium turn-back and continues a short way down the mune. 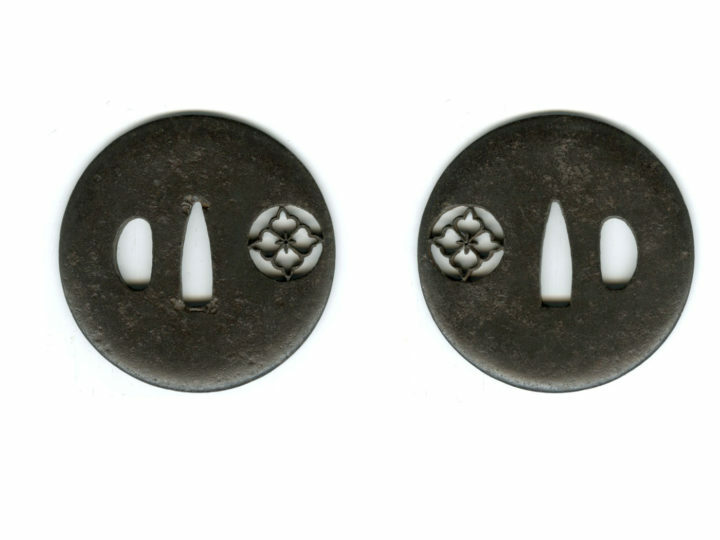 There are bo-hi on both sides starting with a round shape continuing up the mune until just short of the yokote. 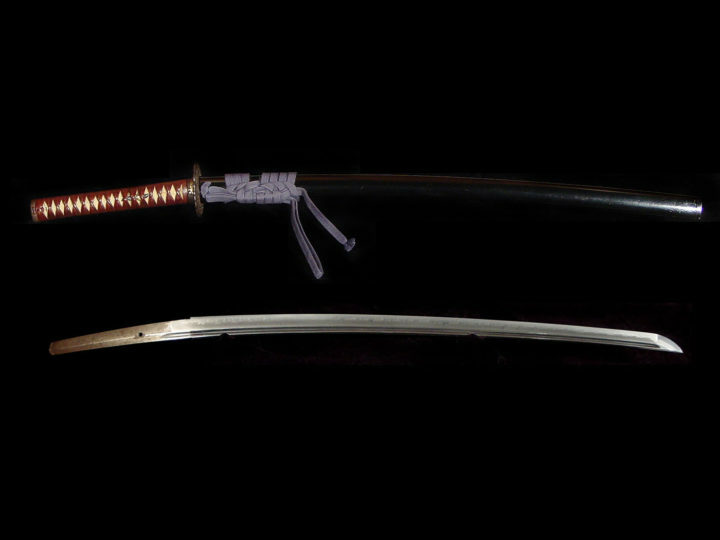 The Katana is signed Yamato Daijô Fujiwara Masanori (大和大掾藤原正則). It has an ubu nakago with one mekugi-ana. 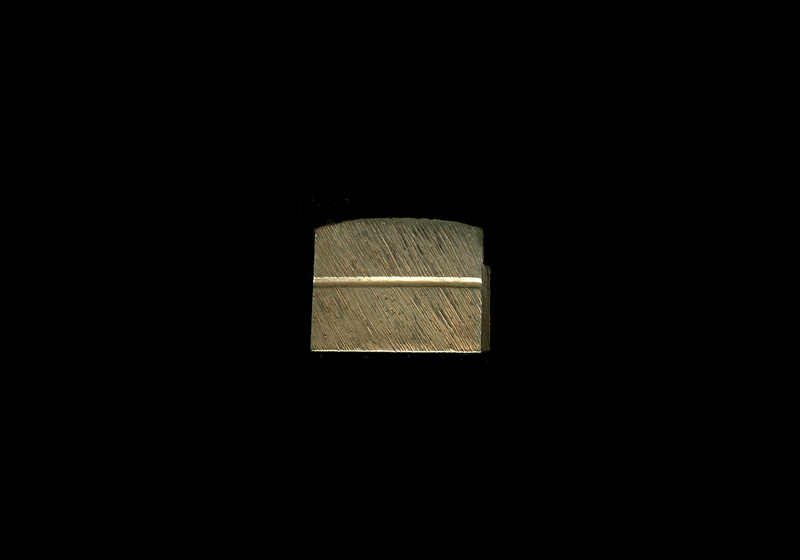 The yasurime are sujikai. 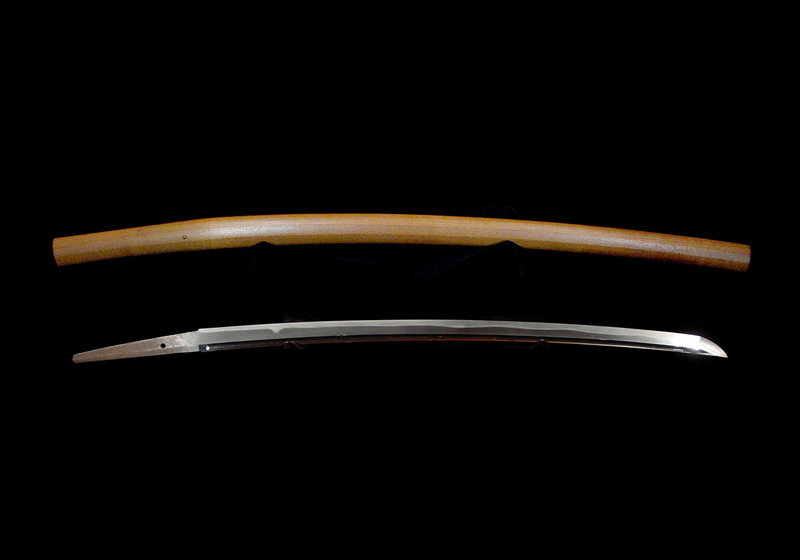 This blade comes in a shirasaya with a gold washed habaki. 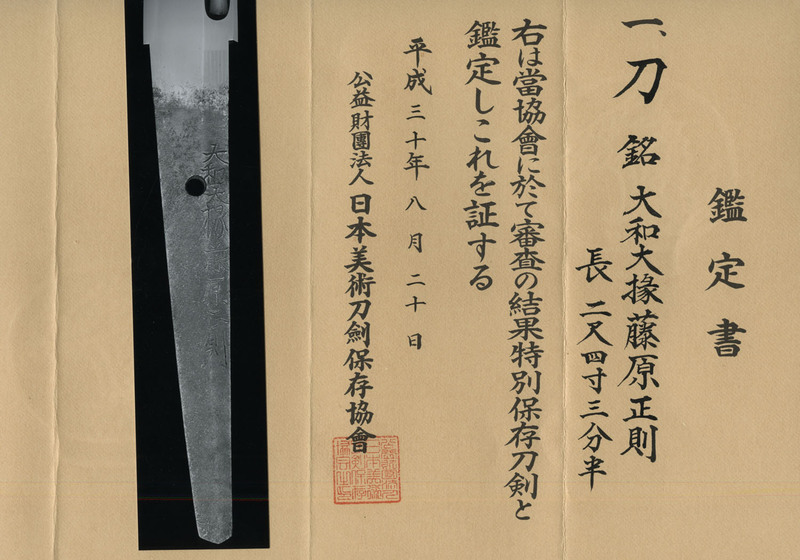 It also has NBTHK Tokubetsu Hozon papers attesting to the quality of the blade and the validity of the signature. This would be a great addition to any collection.